This is something I plan to do regularly - a quick roundup of interesting and/or new bento products that are available from our wonderful sponsors - without whose support this site could not keep running - as well as other things in the bento-product world that have caught my eye. The April post got delayed because I was travelling, jetlagged and so on, but here it is! Pocket sandwiches are made by cutting out and sealing off the edges of sandwiches, so that you have little filled pockets. They are really popular in Japan - Yamazaki, the largest bread manufacturer, makes a line of pocket sandwiches that are 100 yen each that have become a big hit. The most popular pocket sandwich maker is probably the Panda de Sando. Sando is Japanese for sandwich, and the Panda de Sando is a bit of a play on words. 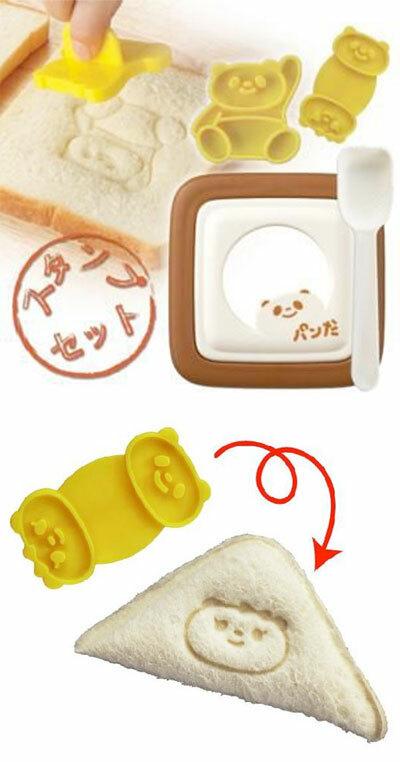 CasaBento has a a very cute set  consisting of the Panda sandwich cutter itself and cute panda-shaped cutters or stamps, that can be used to decorate the sandwich. It even comes with a scoop for your sandwich filling of choice. 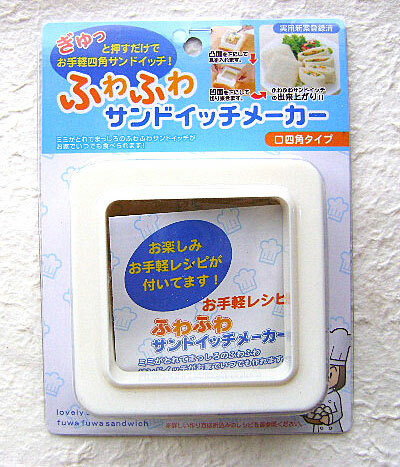 If you’re looking for something more basic, From Japan With Love has the Fuwa Fuwa Sandwich Maker . “Fuwa fuwa” is an onomatopoeia that means soft and fluffy - which is what the bread should be to make pocket sandwiches. Tip: Use soft sandwich bread rather than rough, rustic bread. (Try getting hold of real Japanese sandwich bread, available at Japanese grocery stores and bakeries in some cities, for maximum authenticity! But good old Wonderbread works just as well.) Put your bread in the microwave for a few seconds to warm up and soften the bread, so that the edges seal together properly. The weather is gradually getting warmer, so you may be thinking about ways to keep your bento cool. I have always loved the Gel-Cool line of bento boxes, (see one in use here for example ) which have a cooling element built right into the lid. It’s also a nice big box, especially if you use both tiers, since each tier/compartment holds 500ml - great for someone with a hearty appetite. J Flair Homestyles has the Gel-Cool box in 4 colors . They also have colorful melamine tiffin-style boxes , listed on the same page. Sofia at From Japan With Love has an eye for picking out the cutest bento supplies available, like this adorable Pom Pom Purin bento box and water bottle set . Bento&co , who sponsored the Spring 2010 Bento Contest , have really been ramping up their catalog lately, including of course installing an English version of their site , previously only available in French. 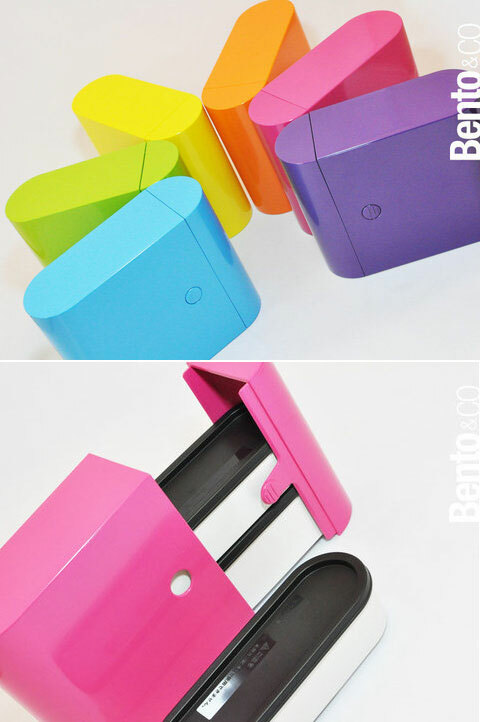 The Bento Colors bento box  is a case in point - three stacking tiers inside a sleek, modern box that is available in several gorgeous colors. I have the pink one, and it’s even more beautiful in person as it were than in photos. 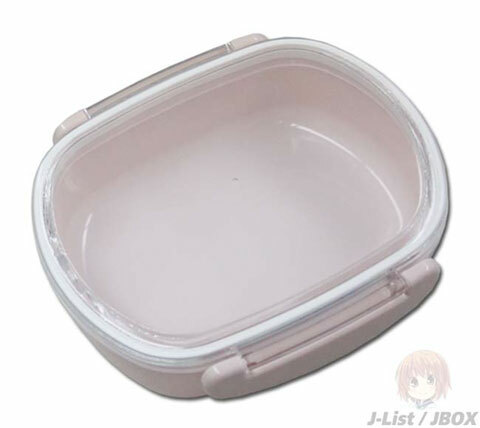 Last but not least, the always reliable J-List/JBox carries a wide variety of bento boxes, including some that are practical and quite inexpensive. 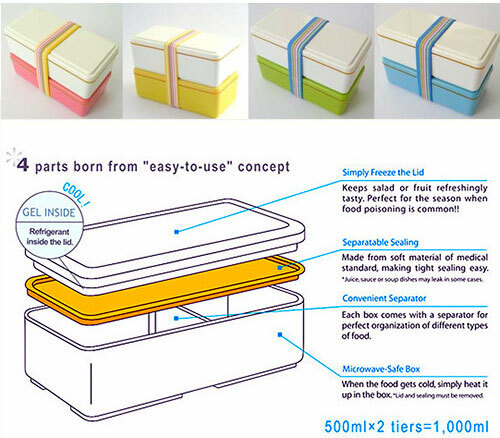 Case in point - the Natural Lunch Time “tight sealed” box , which is only $3.50, is made in Japan, and comes in three spring-like pastel colors - pink , pale green  and beige . A few days before I left Japan, I did a final round of LOFT, Tokyu Hands and so on to see what’s new in the bento box world. Here are a few photos (you’ll find more on flickr .) 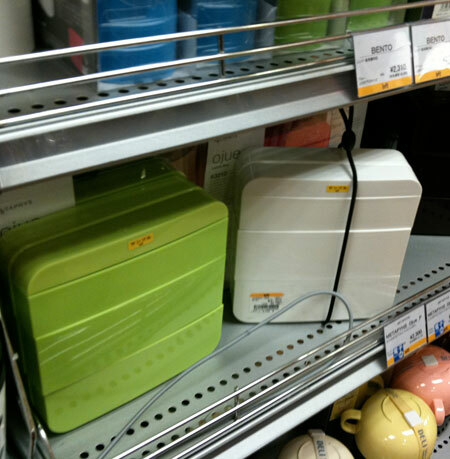 It was interesting to see that essentially, bento boxes are sold in the same way that fashion accessories are. 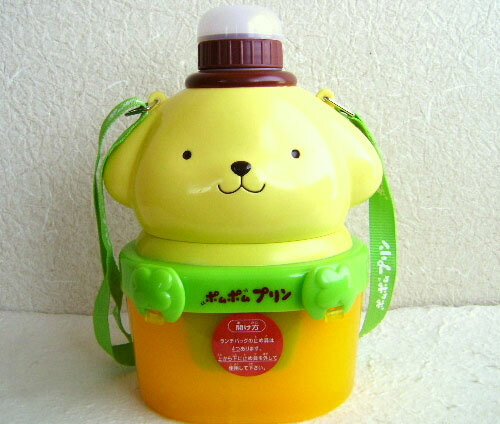 Some weird-cute animal shaped boxes, with built-in cooling elements in the lids, just like the Gel-Cool boxes (but from a different company). 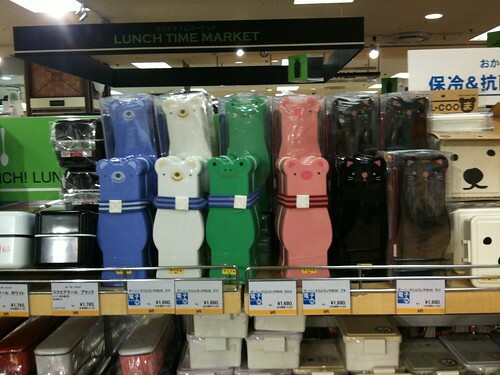 I saw a lot of Madeline-character goods, at high end stationery stores, in department stores and more. 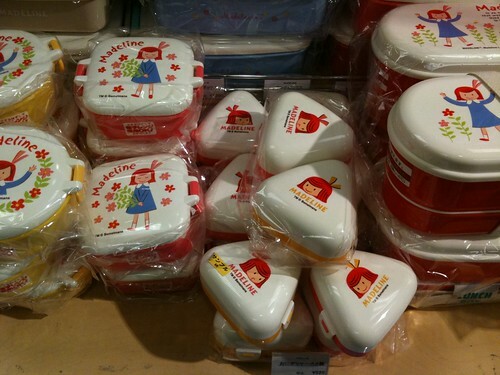 These are some Madeline bento boxes and onigiri boxes - adorable. 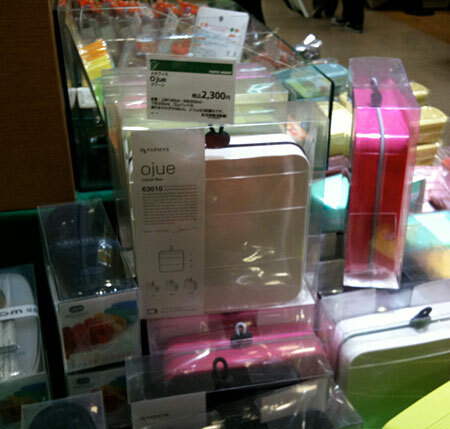 This Ojue box was featured prominently both at LOFT and Tokyu Hands. My sister Mayumi, who has appeared on this site before, lives in Tokyo and is the mother of two very active kids aged 8 and 10. She came with me on a couple of my bento-research shopping trips, and one thing she said that makes a lot of sense to me is that the primary customer for cute and new bento products is teenagers and adults buying bento boxes for their own use, rather than mothers of small children. Kids can be rather hard on bento boxes, and small children quickly outgrow little bitty boxes, so moms tend to stick to practical, durable or inexpensive boxes. Teenagers on the other hand are quite fashion-conscious, and have more pocket money to spend. 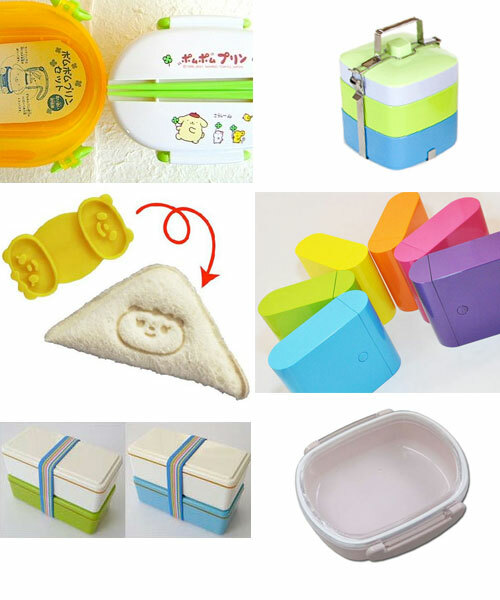 So the bento boxes at 100 yen shops tend to appeal to small children, or are simply practical, while the more pricey stores stock cool and colorful gear. Mayumi makes bentos a couple of times a week for her kids to take with them for after-school activities, and she was lamenting the fact that the cute little bento boxes she got for them when they were in kindergarten are now way too small for them, especially for her 10 year old son, who eats as much as an adult! Another thing that struck me is how well all of the bento equipment sellers mentioned above are keeping up with bento-fashion trends in Japan. I tried to find bento stuff that wasn’t available outside of Japan yet, and found it rather hard to do so! I guess it’s a sign that the overseas market for bento equipment is maturing quite rapidly.